You may remember Cpl. 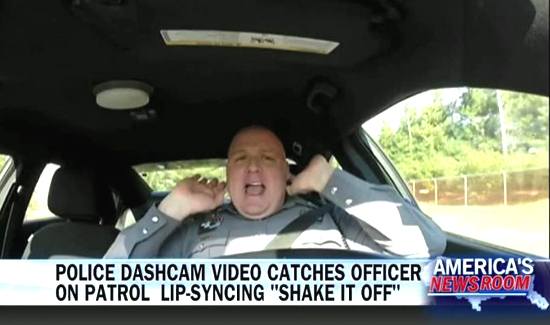 Jeff Davis with the Dover Police Department in Delaware after watching a viral video of him driving around in his patrol car while lip-synching Taylor Swift’s “Shake It Off.” Millions did. Well, Davis is back, and this time he’s brought a buddy along—Cpl. Demetrius Stevenson, who works as a resource officer at Dover High School. Between the two cops, they cover several popular songs, and in the process give a master class on social media and law enforcement. Initially, the second video was going to be like the first. But after the two YouTube stars and other cops watched the raw footage of Davis and Stevenson forgetting words and just having fun, they went with the raw material.